Save money as you can create very different types scene with the same files. Lot of items have multiple positions for a better realism. These files are in high resolution, so that you can make small or large scenes. 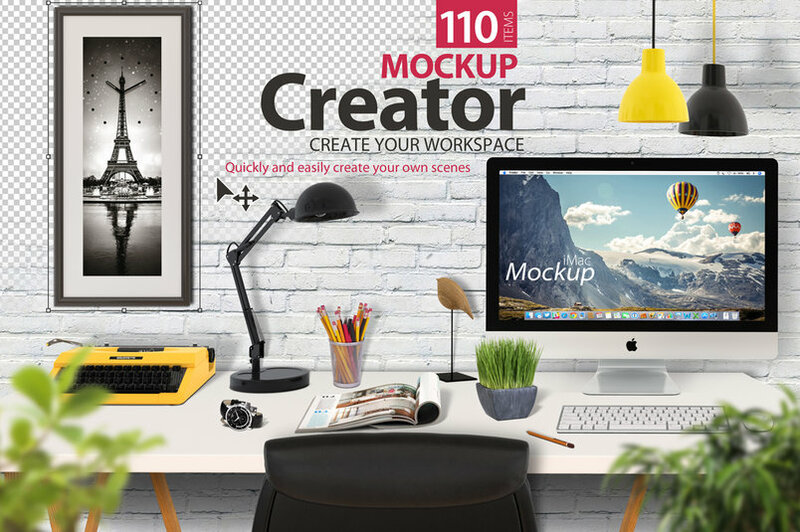 Create your stationery or header mockup with ease. So let’s go to the list! 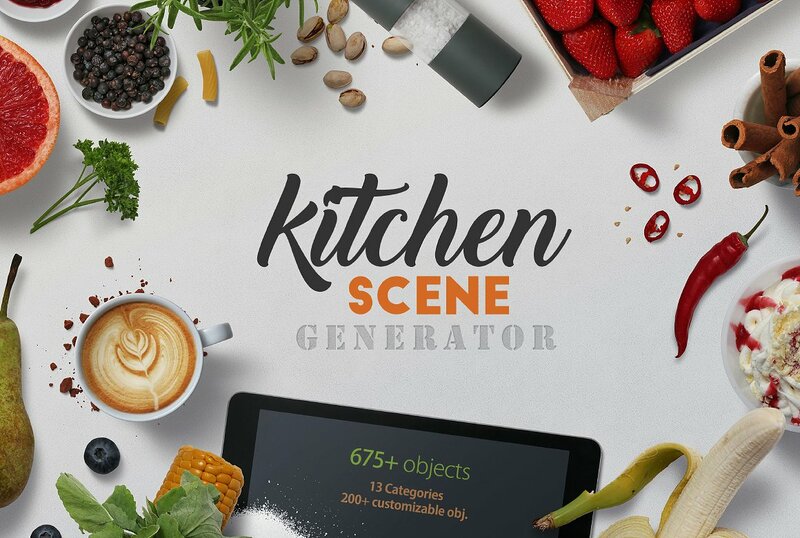 “Kitchen Scene Generator” allows you to create beautiful food related images with ease. 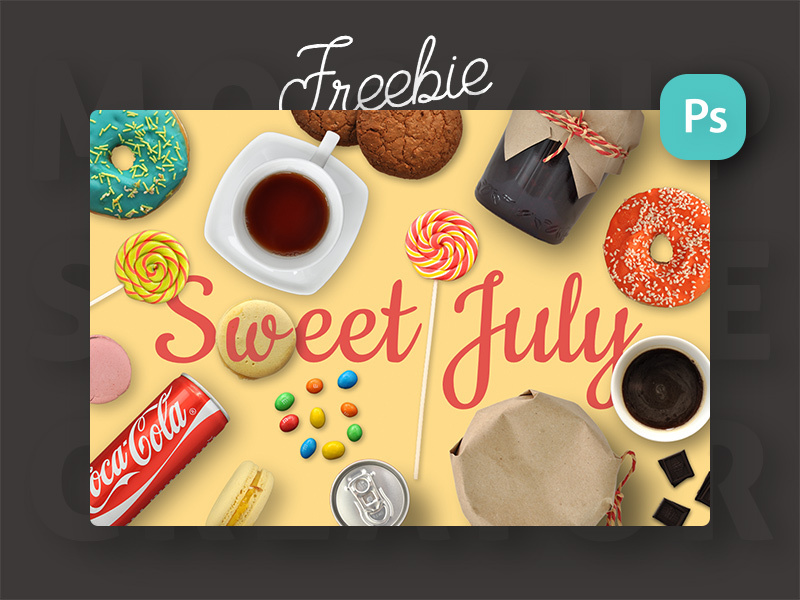 Set your creativity free and build tasty looking scenes simply by drag- & dropping items. 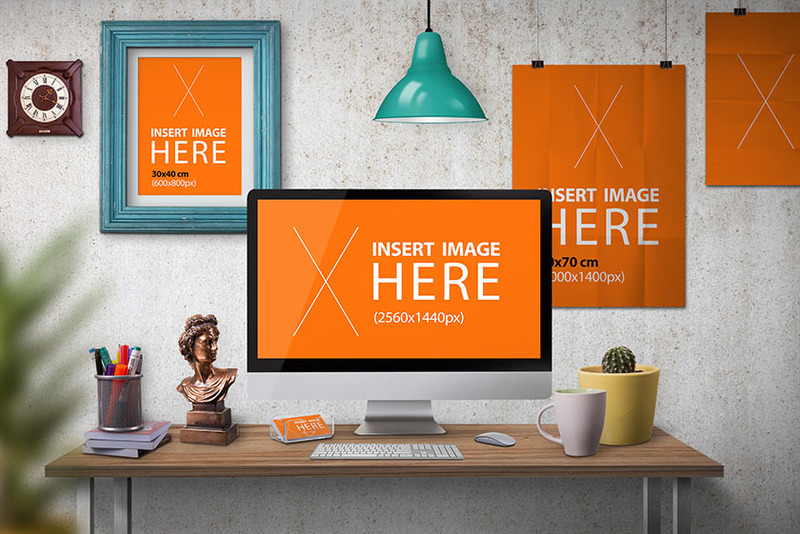 It can be used for hero/header images, mockups, blog posts, print templates, advertisments and much more – the possibilities are endless. 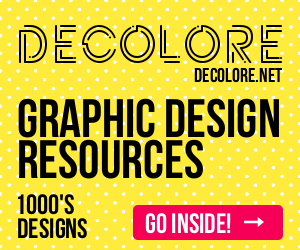 With over 675 items this product is the largest package of food related graphics available. 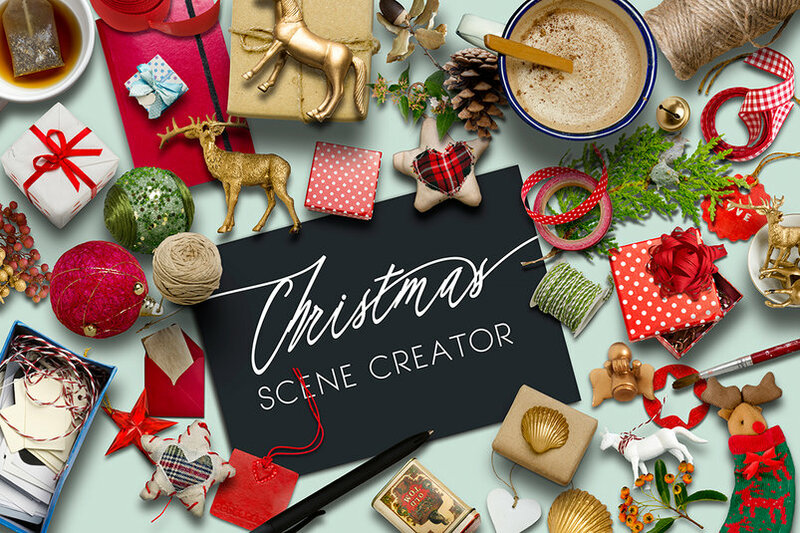 The items are divided into 13 categories to keep everything organized while creating scenes. More than 200 of the items are customizable in details like colors, design or appearance. Here comes our generator scenes for Christmas! We Have photographed the elements, and created this amazing scenes generator. 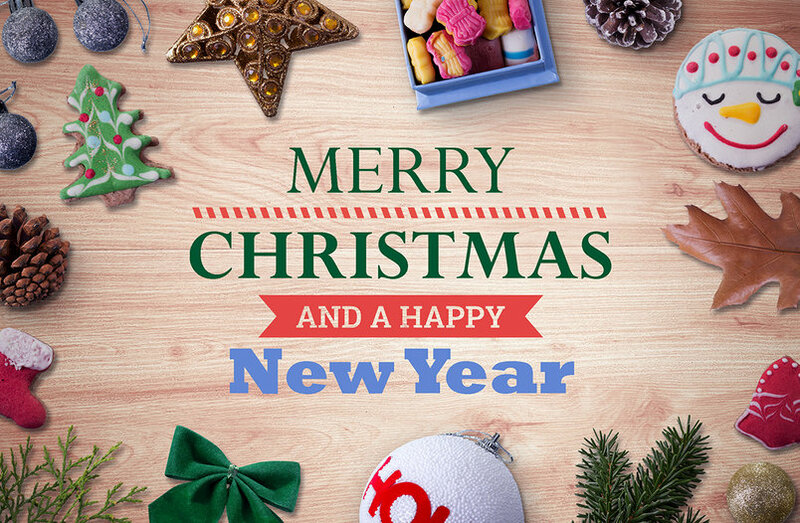 This file Allows you Easily create unique, eye catching Christmas Holiday cards, blog, presentations for your business, or wallpapers. The possibilities have no limits, just you need some creativity and voila!. 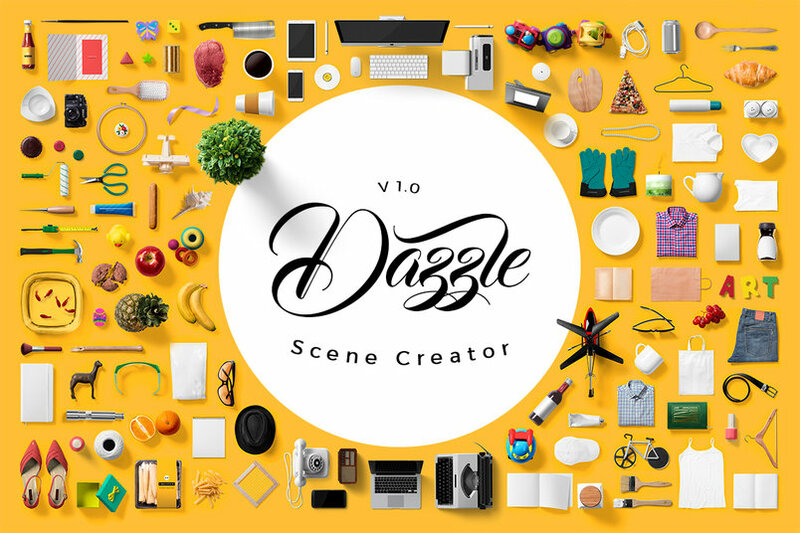 Welcome to the world of Dazzle, a one of a kind scene creator with a whopping library of 28 diverse categories featuring a huge number of picture perfect object mockups with loads of customization options. 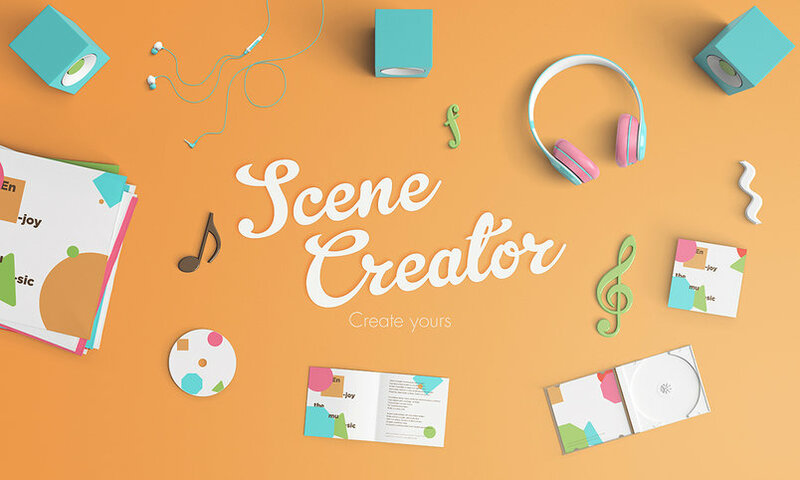 This all-in-one scene creator allows you to create your own picturesque presentation scenes (branding projects, product mockups, web, apps, banners, covers, hero header images, galleries & so much more) instantly. A delicious mini scene generator featuring wonderful sweets! All you need to do is to open the PSD file, pick the items you need and compose your original custom scene. Free Hero / Header image for your project. Every item is isolated and have color masks. Drag-n-drop items in order to create unique compositions. This product is now for free! 100% no cost. 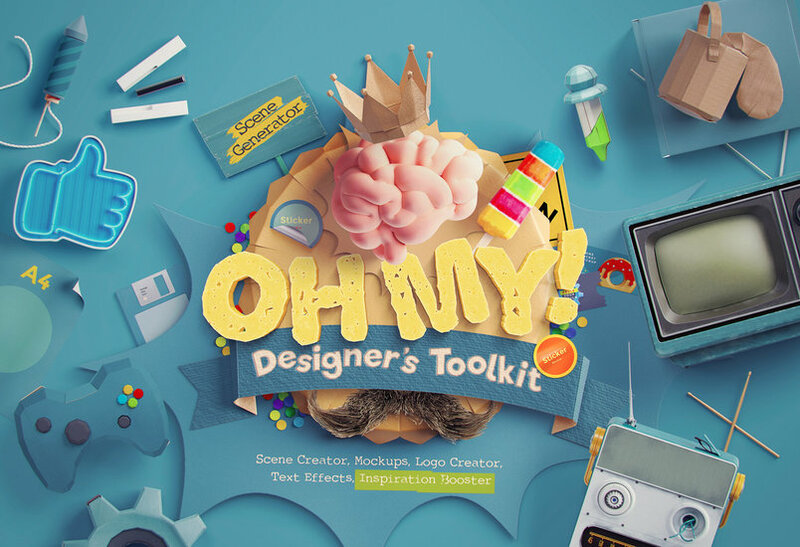 Presenting a graphic scene maker kit created to help designers, video maker and editor to present their artwork in creative style. 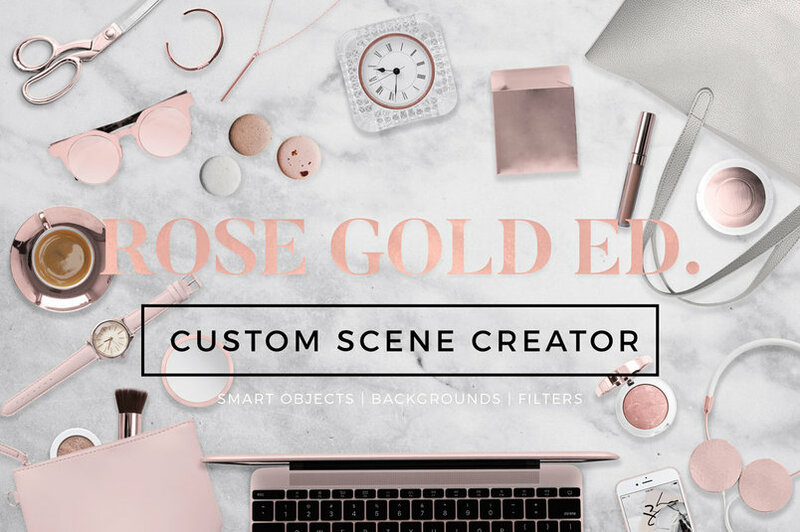 Custom Scene Creator – Rose Gold Ed. The Rose Gold Ed. 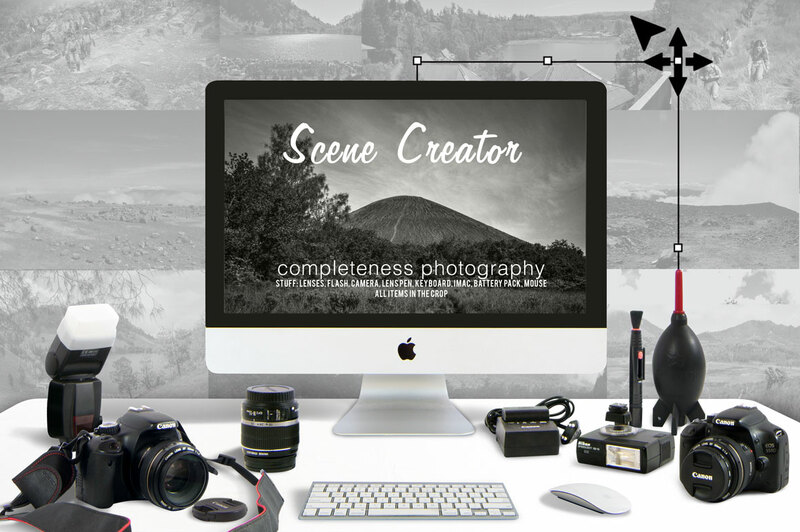 Custom Scene Creator features over 30 fully editable smart objects, 6 background options, and 6 filters/lighting adjustments. Customize and personalize this beautiful mockup anyway you like to add style and class to your website or blog. 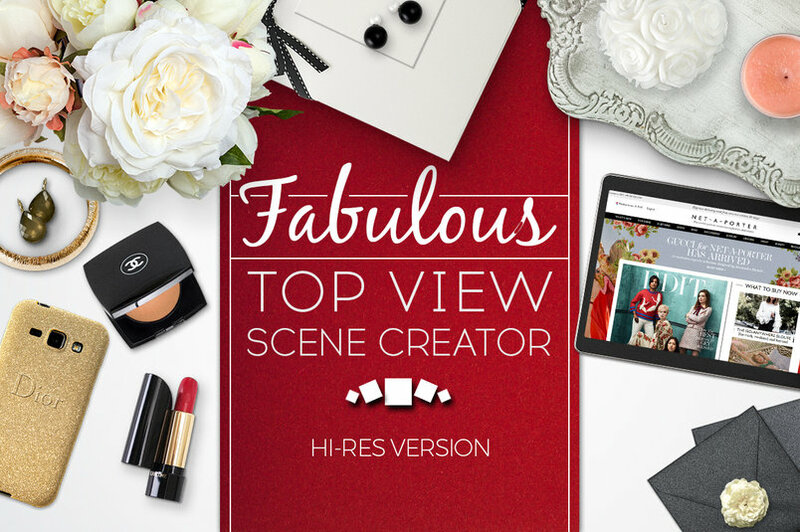 The most beautiful scene creator offering authentic look and stylish possibilities for all your editorial quality flat-lays. 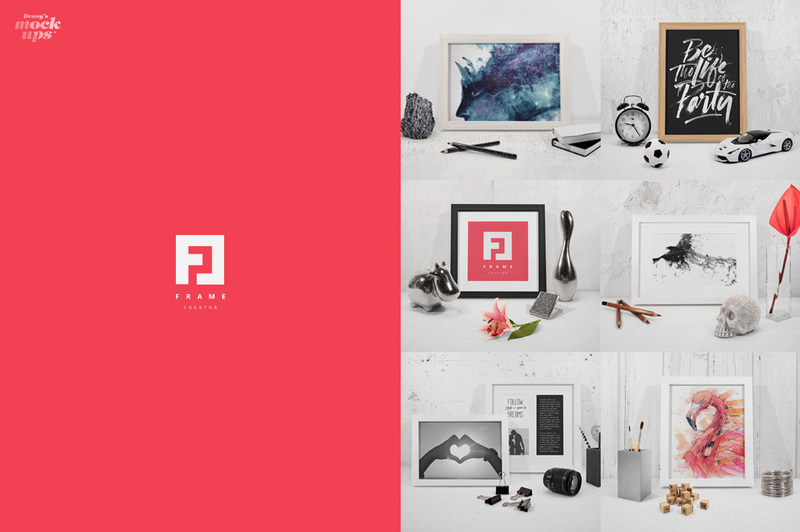 With this Fabulous scene and mockup pack you will be able to make brand visuals that are comparable to the best styled product photography. 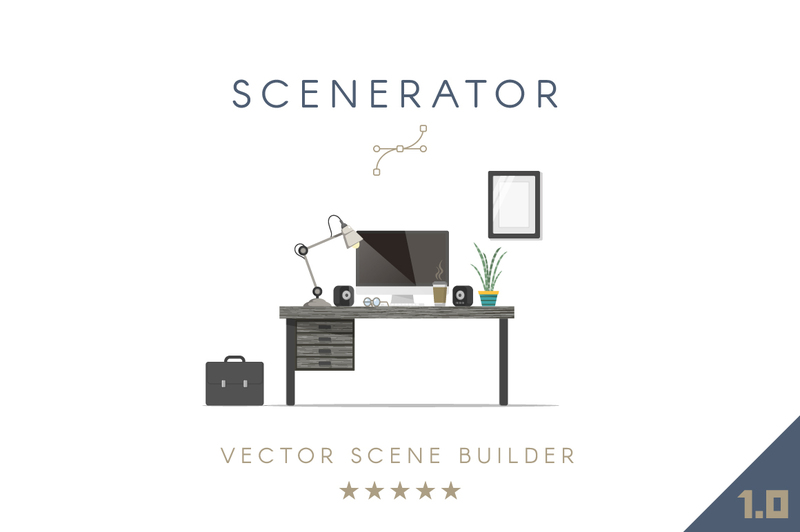 I wanted to make a top view scene creator that could be useful and pleasure to work with for bloggers and designers looking for something sleek, flexible and as realistically looking as possible. You will find this product highly suitable and useful for bloggers, beauty, retail and gift businesses, and of course for professional designers with demanding clientele working in any female-oriented industry. 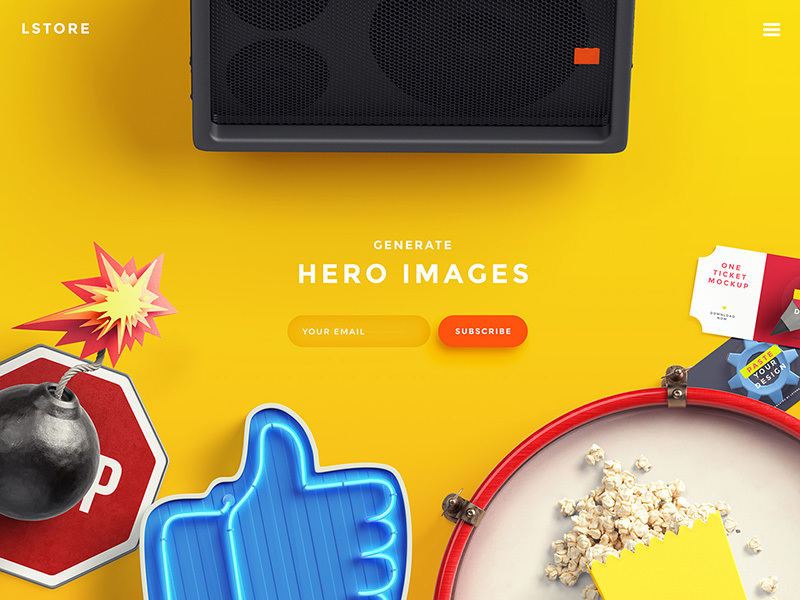 A dream for your Instagram branding and hero images you can’t take your eyes off. 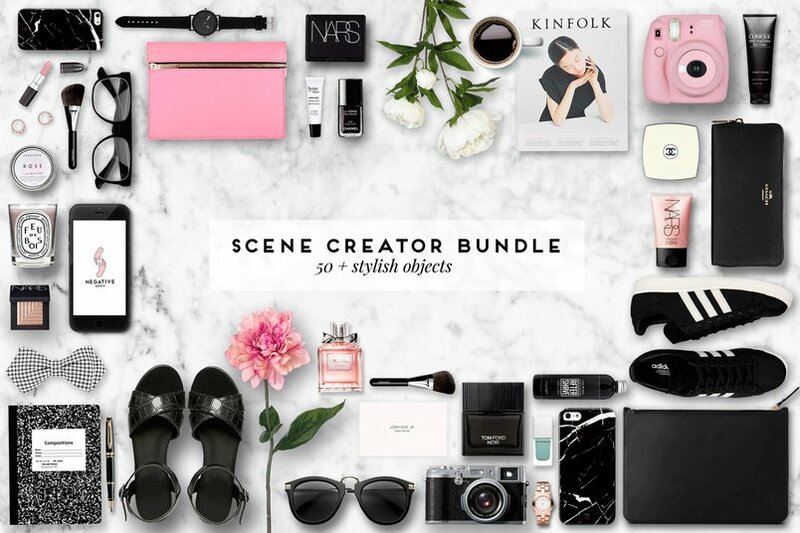 This bundle features 50 objects layered in photoshop, including editable smart objects where you can place your content on an iphone, and ipad and a personal card. This set features 13 objects in Photoshop layers with shadows and a ceramic background. 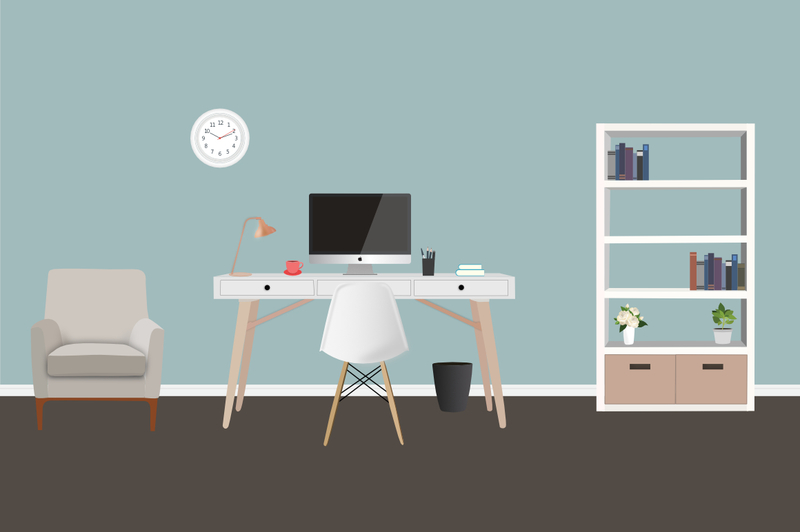 Move the items around, create headers, slides for your home page or stunning post for your blog or social media accounts. Over 100 pieces of furniture and home decor items! You will receive a file with all the pieces shown in these images and more! Your download includes AI and EPS files for Adobe CS6+. Please Message me if you would like me to include an older version of the AI file. You will also receive the original files done in Affinity Designer. If you own Affinity Designer you will be able to use the illustrations in both shadow and flat format. With over 120 vector items and 11 backgrounds, this kit is perfect for websites, social headers, blogs, brochures, folder, magazines, catalogs… You can use premade color kits or change all global colors with some clicks like you want. High quality and realistic mockup. With this files can create unlimited number of scene combinations. Perfect for your online shop or etsy. Mockup works only with Photoshop (.PSD files, ver. CS4 and higher). Files are really easy to use. Guide file is always included. 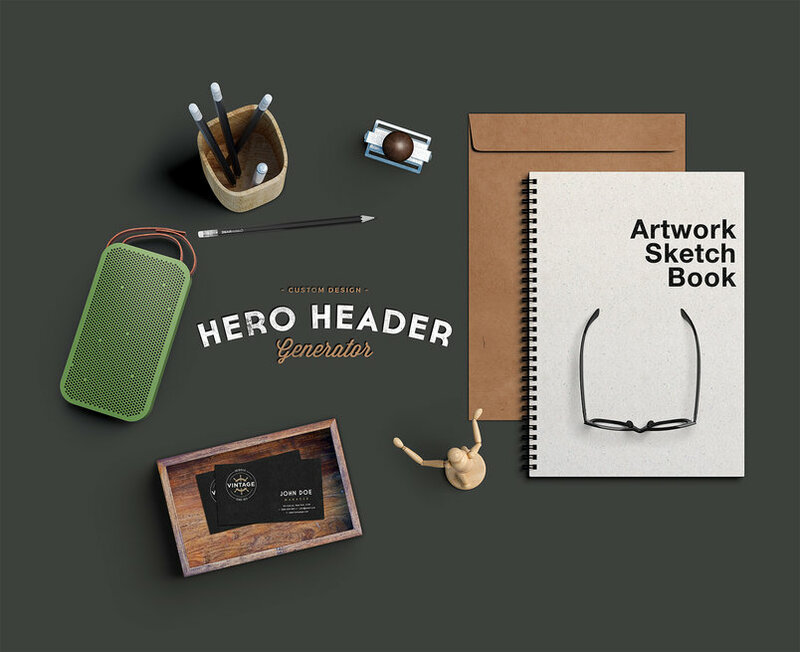 A great mock-up that will help you create realistic top view hero images or custom scenes for your various projects. The .psd file comes in high-resolution and includes smart objects to minimize your work. Original scene mock-up you can use to create a great top view hero/header for your future projects. The PSD file is fully layered and includes smart objects, so you can easily construct the perfect setting for your designs. 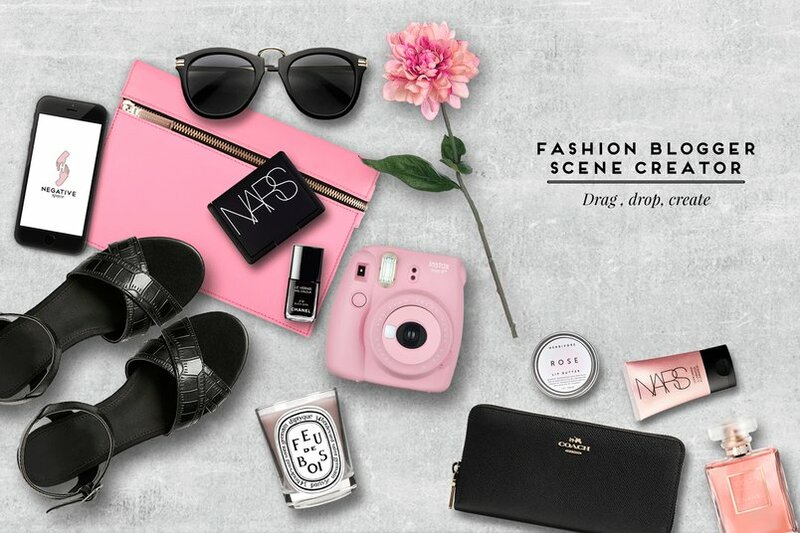 Create your own scene with these items. Customize them easily in Photoshop. Also you can use those items for other design purposes. Some items are free. 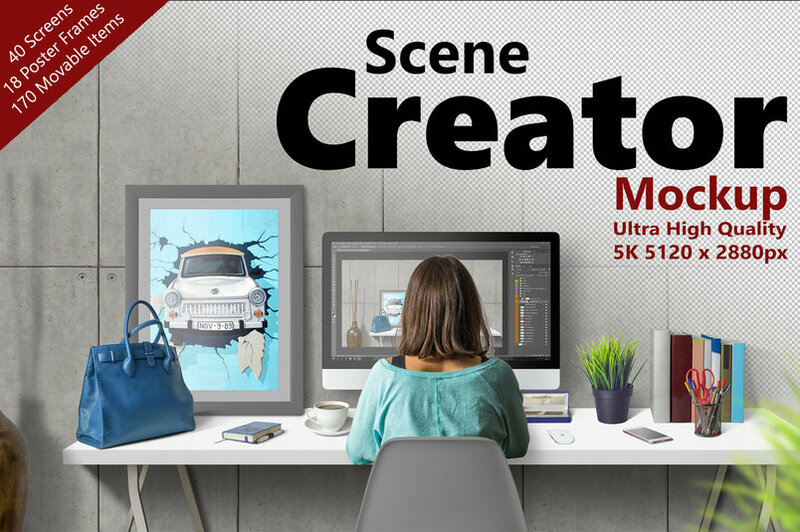 Scene Creator 5K is a high resolution and great quality tool to showcase your works, such as: posters, paintings, drawings, web designs or product mockups. 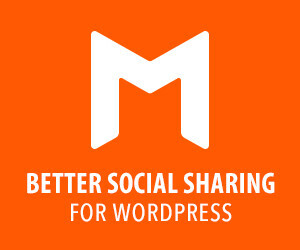 You can also generate header images for your website or blog. Shortly everything you may need to shine in the web! This product was created to help designers make eye-candy scenes that will arouse positive emotions. 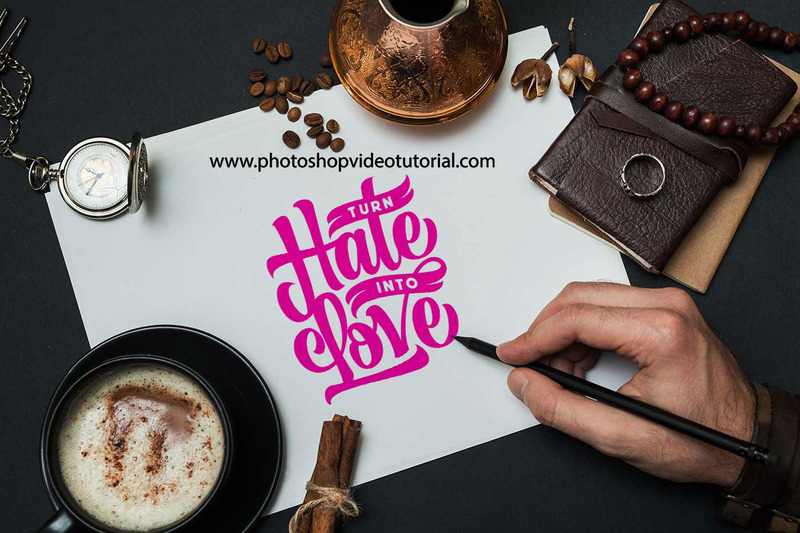 Create scenes in Photoshop easily and use graphics for individual or commercial projects. 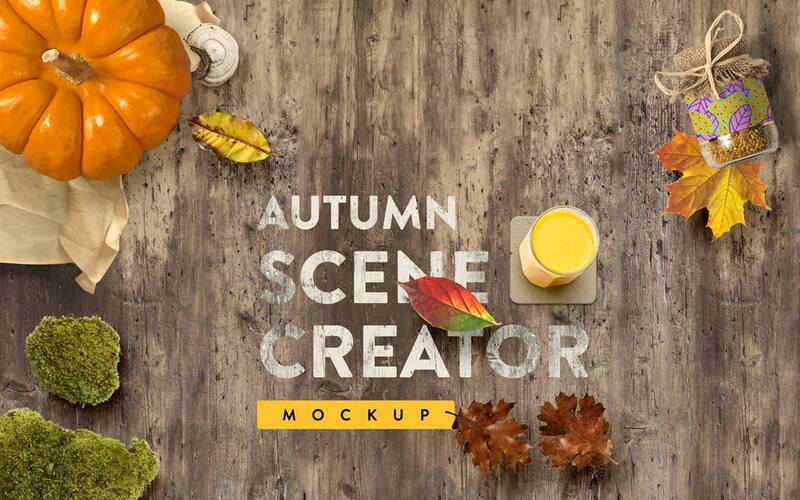 Scene Creator Mockups is easy and simple way for you to create your own desktop. More than 100 different objects easyaly move on scene with implemented shadows. You can change items with screen using double click on smart object and that’s it. Also the same procedure is on photo frames. Completeness fotography already in the crop very helpful in your design work. 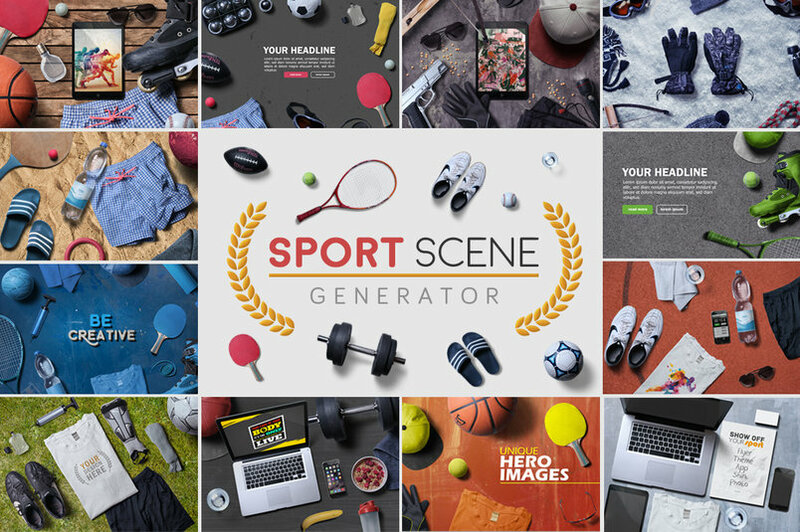 With this Scene Generator you can create beautiful sport themed images. Perfect to use for Hero/Header images. It includes various mockup items like bottle/laptop/tshirt so you can build scenes to show off your sport designs. Save time taking photos on your own and cutting out items. 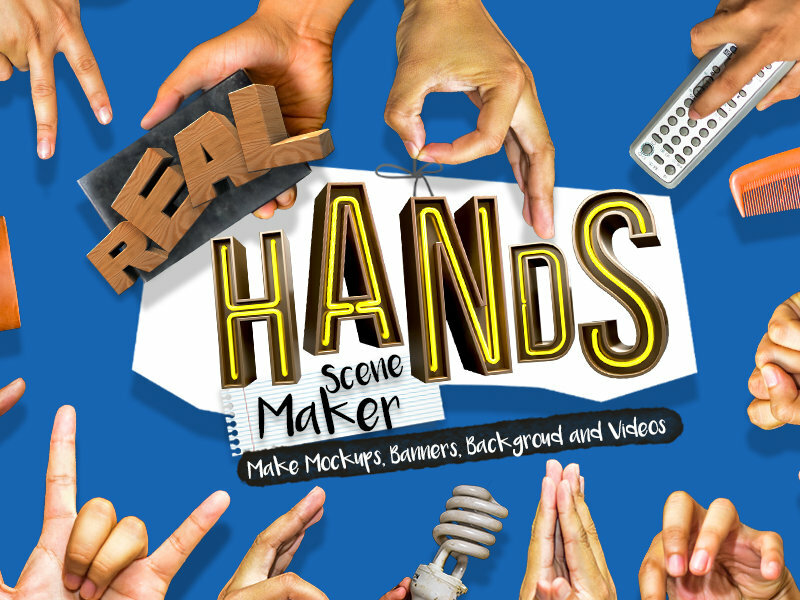 This product allows you to just do the fun part: Building your custom scene per Drag&Drop. 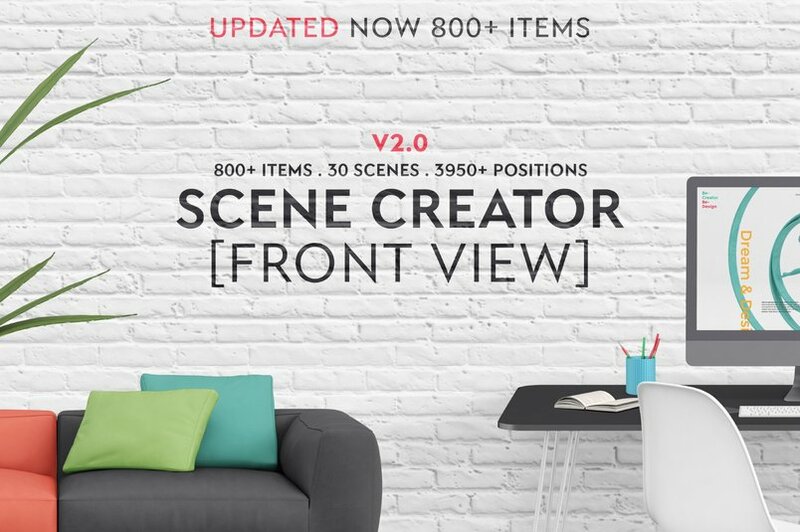 With the Scene Creator [Front View] design a desk scene or a living room, showcase your art work on many different support and format. Made with multiple style this constantly evolving product will accompany you through your future projects. 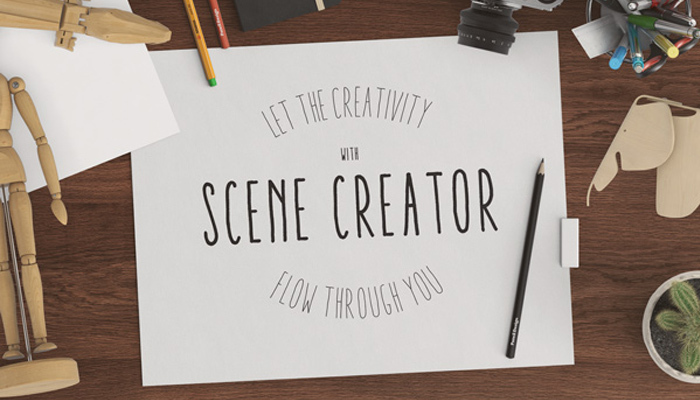 Conceive in minutes scenes and showcase your work in a creative way. 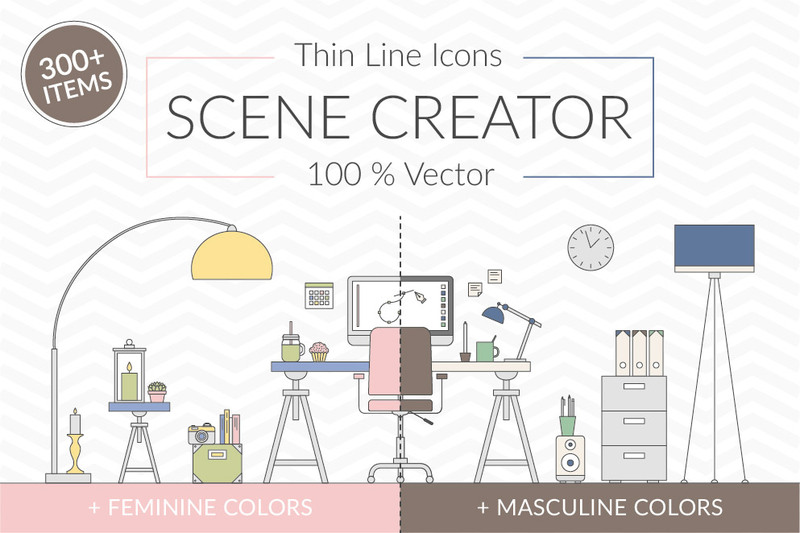 Over 300 vector thin line items with front view and matching backgrounds. This kit supports your daily work, it`s perfect for websites, blogs, brochures, folder, magazines, catalogs… All items match perfect together and you can use the three premade color kits (feminine scheme, masculine scheme, black lines) or change all global colors with some clicks like you want.